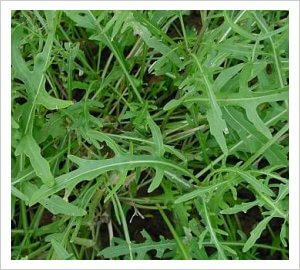 Oriental Salad – Wild Rocket -the plants are vigorous, uniform and dark green. Oriental brassicas are excellent from late summer onwards right through the winter if grown under protection. In spring they are very prone to fleabeetle attacks and are best avoided unless grown under a fleece. Both the wild and salad rocket are very fashionable amongst chefs and gardeners alike. If grown at the right time they are such easy and delicious salad vegetables. This is the more common type of rocket which can grow fairly tall (1m) if you let it go to flower. Both the leaves and flowers are edible. This is a wild relative of the salad rocket. 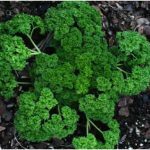 It’s a much smaller plants with more narrow leaves. Even if this plant bolts, you can simply cut it back to about 5cm above ground and it will re- grow again. Rocket does well in any reasonably fertile soil. The best time to sow rocket is in early September until early October. I usually sow 5-7 seeds in modules. The modular transplants are ready for planting out about 4 weeks after sowing. 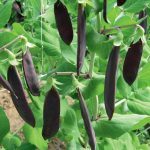 You can make more successional sowing from late January until April but they never perform as well as the autumn sown crops. They are likely to bolt prematurely and also get attacked by the fleabeetle. It is essential to keep the plot completely weed free and watered regularly. 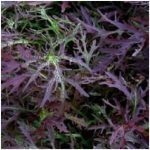 You can either harvest individual leaves as required or use the cut and come again method: cut the whole plant at about 5cm height from the soil level and the leaves will re-grow. This procedure can be repeated within the next two to three weeks. Rocket is very prone to fleabeetle attacks. The symptoms are hundreds of minute holes in the leaves that are caused by a tiny shiny black beetle. The autumn and late winter sowings will escape the fleabeetle. If you are determined to grow rocket in spring and summer you will have to cover the beds as soon as they are planted with a fine netting such as fleece or a fine Enviromesh. Rocket is a very prolific salad, so 3 to 4 plants (multi-seeded modules) should be sufficient especially if you also grow other winter salads.